The Gladiator Buff Campaign features buffs specially selected for gladiators! 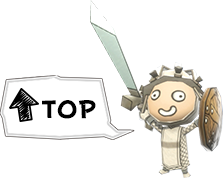 Check out Happy Cards Limited Edition to get special buffs perfect for use in the Colosseum! Gladiator buffs guaranteed during Happy Time! 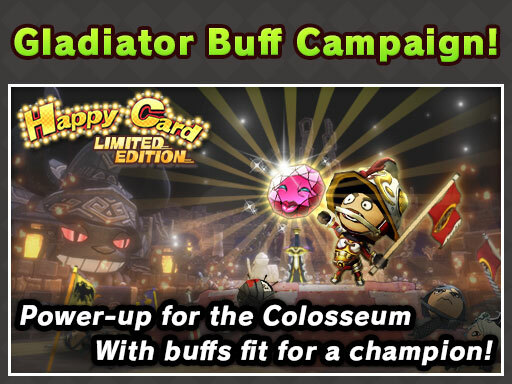 The Gladiator Buff Campaign includes popular buffs such as Fast Attack, Mobility Speed Up Lv3 and Intensify AP! Get the best buffs while you can!! Conquer the Colosseum with the Gladiator Buff Campaign—only in Happy Cards Limited Edition! *Please note that the Premium Buff Gem Campaign will not be applied to normal Happy Cards.